A simple, yet elegant 8.5 ounce deep brown Yixing teapot. The teapot has tiny, yellow freckles scattered throughout. The oval shaped body of the teapot has three carved panels by the spout and handle on both sides giving a delicate appearance. 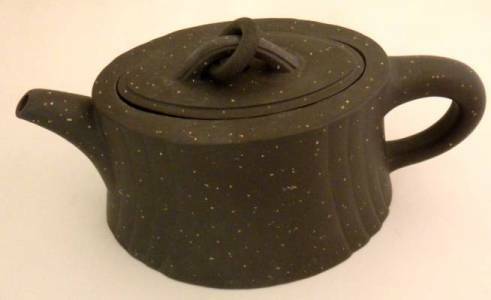 A ring through the lid of the teapot completes this graceful teapot.